It was arguably the most important and anticipated presentation of the year, and it all went down at Star Wars Celebration in Chicago. Disney and Lucasfilm chose Chicago as the location where they would roll out a first look at Star Wars Episode IX, due out this December. Not only is it among the most anticipated movies of the year according to Fandango fans, but it's the culmination of a nine-movie saga that began all the way back in 1977 with Star Wars: A New Hope. 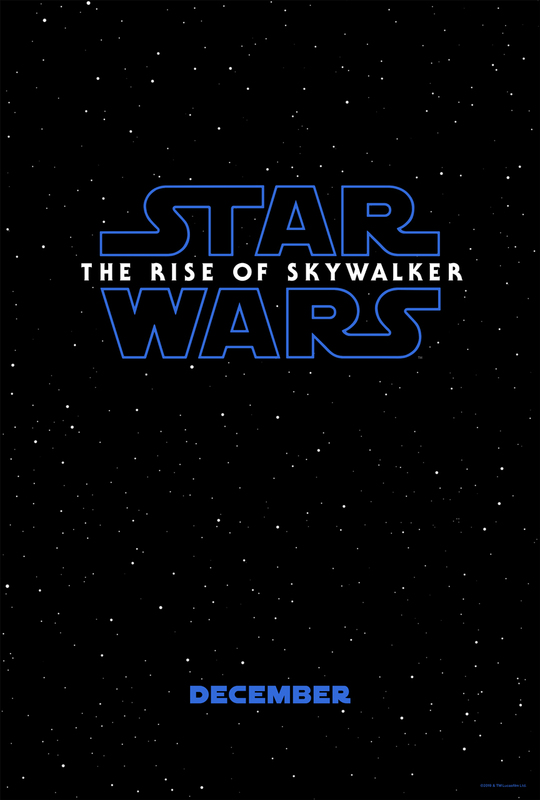 Just as important as the footage is the official title of a Star Wars movie, and now after tons of debates and rumored titles, we know the official title of the next Star Wars movie is Star Wars: The Rise of Skywalker. But what, exactly, does that mean? The Rise of Skywalker? Is it alluding to the rise of the Skywalker legacy in those not named Skywalker, as seen at the very end of Star Wars: The Last Jedi? Does it mean that Kylo Ren will maybe shift to the light side and rise as a true member of the Skywalker family? Or does it mean that Rey, believed to not be part of the Skywalker family, is in actuality a Skywalker? Or does it pertain to Luke, and will he rise from the dead to help Rey and the Resistance save the day yet again? The perfect Star Wars title is one that keeps you guessing and talking for months, and The Rise of Skywalker will most assuredly do that. 3. Billy Dee Williams Is Back! There are so many cool moments in that first teaser trailer, but longtime fans were especially happy to see Billy Dee back as Lando and to also see Lando back piloting the Milennium Falcon. Last time Lando was piloting the ship that was once his was back at the end of Return of the Jedi. One does wonder, though, if it all comes full circle and Lando winds up owning the Falcon again at the end of The Rise of Skywalker. Might be nice to see him fly off into the sunset. J.J. Abrams had some touching words to say about Carrie Fisher during the presentation, saying that he felt like she's been there the entire time. He noted that there is no CGI Leia in the film or anything like that -- her scenes were part of a group of unused moments from Star Wars: The Force Awakens that have been refashioned to fit the storyline of the new film. And talk about an emotional moment -- seeing Rey and Leia embrace was perhaps the single most memorable moment in the entire teaser. One of the true staples of a Star Wars movie involves the main set of characters split apart and off on their own separate missions. Throughout the films, it's been rare for the main cast to be together for a significant length of time - but that will change in The Rise of Skywalker, which will follow our central group of heroes (Rey, Finn, Poe, Chewbacca, BB-8, C3PO) all together on an adventure across the galaxy. For more on The Rise of Skywalker, check out our guide on everything you need to know about the movie here.